A picturesque nature reserve of national importance with stunning coastal views sited within the High Weald Area of Outstanding Beauty. The nature reserve has 342 hectares (853 acres) of ancient gill woodland, heathland, grassland and farmland together with five kilometres of dramatic sandstone cliffs and coastline. Much of the area has been designated a Special Area of Conservation (SAC) and a Site of Special Scientific Interest (SSSI) due to the unique wildlife and fossil rich soft rock cliff and slope. Hastings Country Park received its first Green Flag Award in 2006 and continues to retain this status. 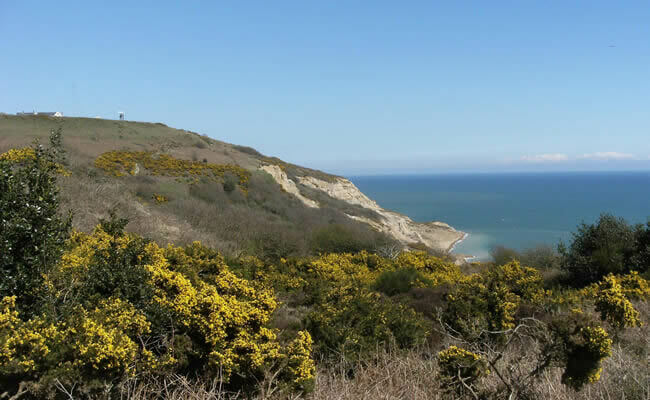 Download the Hastings Country Park Leaflet.